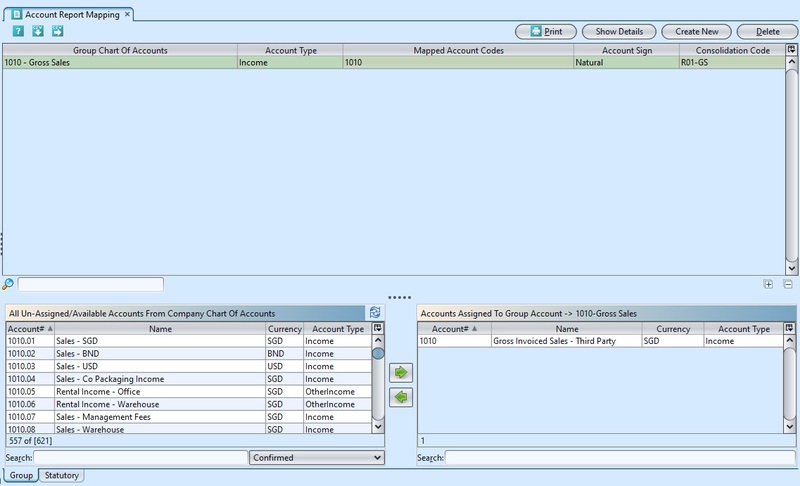 The Group Mapping is the COA (Chart of Account) that will be used in the Group Reporting Reports. It will also be using the group currency rate (historical or average rate depending on the A/C type). The translation Gain/Loss will also be calculated. The Statutory COA is used for the countries where the COA format and code is imposed by the Government and allows to present the statutory financial reports under this format while the entity can retain its own COA. 2. Enter search parameter to filter the result, i.e. type in the search textfield box below the top table. 4. Double click on account to view, it will bring up the selected account details on pop up form. 5. 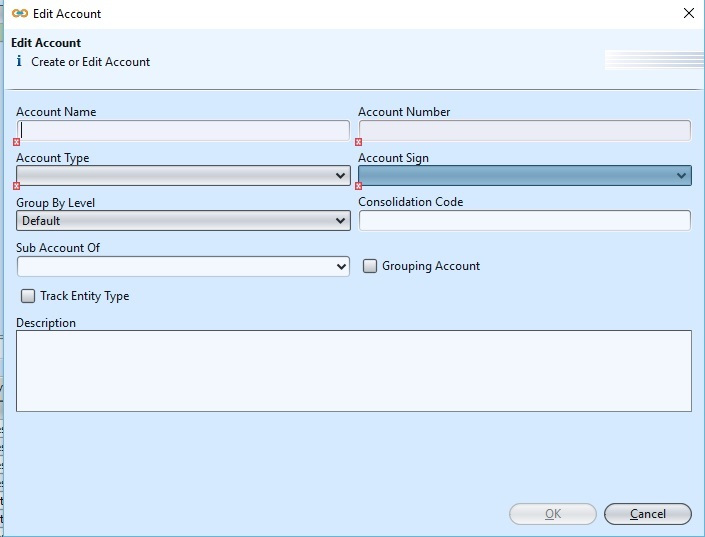 Click button on top of screen to export the chart of accounts as CSV file.